20 years passed, everything I am using is Apple. Even the router is an Apple extreme. I am using my iPhone and blogging with my macbook pro as well. Jerryblogger.com is re-opened after a day of server down. We are back now! We will keep posting the newest infomation of the Web for the Web! Cool customer services will make you want to continue to do business with a company. Bad customer service will frustrate you and make you think about taking your business else where. Dealing with bad customer service in the proper way will help you feel better about your experience and will help the company improve customer service. Be specific about your complaint when you are speaking to a customer service representative. Many times, bad customer service is simply the result of the customer service representative misunderstanding your situation. Stay calm and polite when you are speaking to any representative of the company. Becoming irate will hurt your chances of having your problem solved. Ask to speak to a supervisor or manager if necessary. A manager or supervisor will usually have more options available to effectively fix your problem. Offer your suggestions. If you have ways in mind to correct the problem or improve customer service, let the supervisor know. You may be able to offer a solution that the manager didn't think about. Accept that you may have to compromise. In some cases, the solution that you are seeking may be impossible. Write a letter to the company or business owner. Make sure that you include your initial problem, the names of everyone you spoke with, your specific customer service complaints, your proposed solution and your contact information. Find a new business to frequent. If you find that you are unable to get your situation resolved in a mutually agreeable way, taking your business elsewhere will make a powerful statement. This is especially true if you are dealing with a small business. New extensions, enhanced tabs and the first with many new innovations – turn your browsing up to eleven with the fastest browser on Earth. Tabs reach a new degree of sophistication with tab stacking that lets you keep loads of webpages organized. Just drag one tab over another, and they will be grouped together. Extend Opera with new functionality. You can browse from the rapidly growing collection of extensions in the Opera extensions catalog – just click 'Install' next to the ones you want. Opera 11 renders webpages and crunches code faster than any other browser. That means that pages load quickly, and web applications run with unprecedented speed. "How to cook turkeyDo not know how to cook turkey? A perfect roast a bird to learn five simple steps.How to cook turkeySo this is a holiday, you have never cooked turkey before. Do not worry, you have only five steps away from the perfect bird. Read on to learn how to cook turkey.Step 1: If using frozen turkey, thaw in its original plastic packaging in the refrigerator. Allow 5 hours per pound. Faster way: Turkey water coverage (the receiver is a good place to present), changing every 30 minutes to allow 1 hour per pound (500 grams).Step 2: Prepare the turkey giblets and neck removed. Rinse and wipe the cavity; sprinkle with salt and pepper or something with the bamboo stick gently tighten the skin in the cavity.Step 3: the turkey, breast up, on rack in baking pan. Brush on melted butter or oil. Tent loosely, foil. Bake 325F (160C) oven for about 20 minutes per pound (500 grams) or until juices run clear, when Turkey was wearing a thermometer into the thickest part of thigh registers 180F (82C) is filled with turkey or 170F No. (77C) a unstuffed Turkey. Remove the tent last hour of roasting.AdvertisingStep Four: When Turkey is completed, transfer to a warm plate. Tent with foil and let stand for 20 to 30 minutes. This makes the juice of the time evenly distributed across the surface of the meat birds.Step five: carving turkey. Eat and enjoy! Nov9th is an important day for Germany and Jerry. 1921 – Albert Einstein is awarded the Nobel Prize in Physics for his work with the photoelectric effect. 1938 – Nazi German diplomat Ernst vom Rath dies from the fatal gunshot wounds of Jewish resistance fighter Herschel Grynszpan, an act which the Nazis used as an excuse to instigate the 1938 national pogrom, also known as Kristallnacht. 1984 – Jerry Blogger was borned. 1989 – Cold War: Fall of the Berlin Wall. Communist-controlled East Germany opens checkpoints in the Berlin Wall allowing its citizens to travel to West Germany. This key event led to the eventual reunification of East and West Germany. Using a Firefox version older than 3.5? Super-Cookie Safeguard (protects from LSO Flash Objects, DOM Storage Objects). Better Privacy serves to protect against undeletable longterm cookies, a new generation of 'Super-Cookie', which silently conquered the internet. This new cookie generation offers unlimited user tracking to industry and market research. Concerning privacy Flash- and DOM Storage objects are most critical. Flash-cookies (Local Shared Objects, LSO) are pieces of information placed on your computer by a Flash plugin. Those Super-Cookies are placed in central system folders and so protected from deletion. They are frequently used like standard browser cookies. Although their thread potential is much higher as of conventional cookies, only few users began to take notice of them. It is of frequent occurrence that -after a time- hundreds of those Flash-cookies reside in special folders. And they won't be deleted - never! BetterPrivacy can stop them, e.g. by allowing to silently remove those objects on every browser exit. So this extension becomes sort of "install and forget add-on". Usually automatic deletion is safe (no negative impact on your browsing), especially if the deletion timer is activated. The timer can delay automatic deletion for new or modified Flash-cookies which might be in use. It also allows to delete those objects immediately if desired. With BetterPrivacy it is possible to review, protect or delete new Flash-cookies individually. Users who wish to to manage all cookies manually can disable the automatic functions. BetterPrivacy also protects against 'DOM Storage' longterm tracking, a browser feature which has been granted by the major browser manufactures. Three separate bear attacks at the Soda Butte campgrounds near the Yellowstone National Park in Montana left one man dead, and a woman and another man injured. The female victim suffered several lacerations, bites and crushed bones, while the male survivor had a bite on his calf. Both of them were taken to a hospital in Cody, Wyoming. 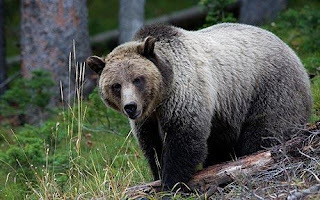 A spokesperson for the Montana Fish, Wildlife & Parks said that the officials are investigating the type of the bear that assaulted the campers, whether it was a grizzly bear or a black bear, and if there are more than one of those involved. The other people in the campsite ran to their vehicles and hid there until the animal went away. Park officials have set five traps around the area and are doing aerial surveillance. New guidelines saying Canadians should consume only half the sodium they now take in from salty foods and drinks could "save thousands of lives over the coming years," says Dr. Mary L'Abbé, the vice-chair of a federal working group releasing the targets Thursday. Ford to lay off 400 at Windsor engine plant Ford Motor Co. will lay off nearly 400 workers at its Windsor, Ont., engine plant, CBC News has learned. The workers have been told they will be laid off beginning Nov. 1. Ford Motor Co. will lay off nearly 400 workers at its Windsor, Ont., engine plant, CBC News has learned. The workers have been told they will be laid off beginning Nov. 1. MocoSpace login using: One of the biggest mobile social networking MocoSpace member login website is owned by JNJ Mobile Inc. Sign up is must requires for share pictures, chat with people, listen music and play games. Entrancing, confident, and always up for a good time. This name is a great example of cool boys' names ending in "o."